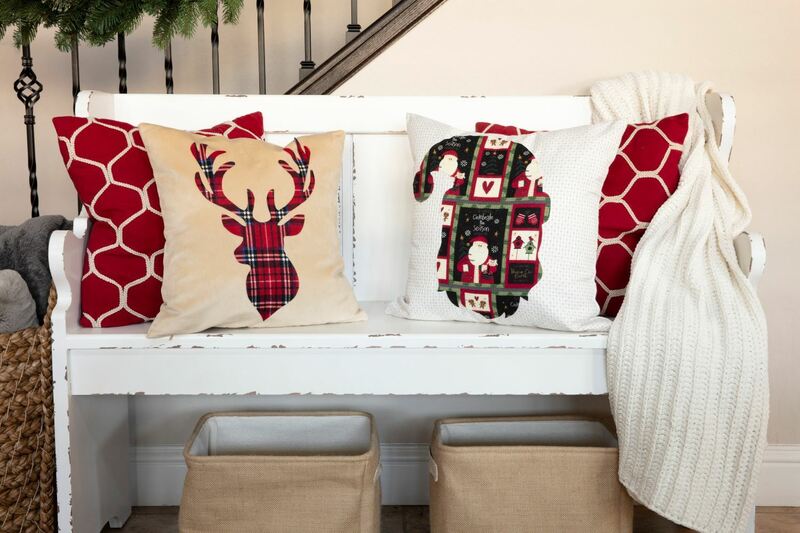 When it comes to holiday decorating, throwing out a few festive decorative pillows couldn’t make it easier! You will impress your guests with your colorful and custom style by picking out fun shapes, monograms or even simple sayings. Then bring them back year after year. 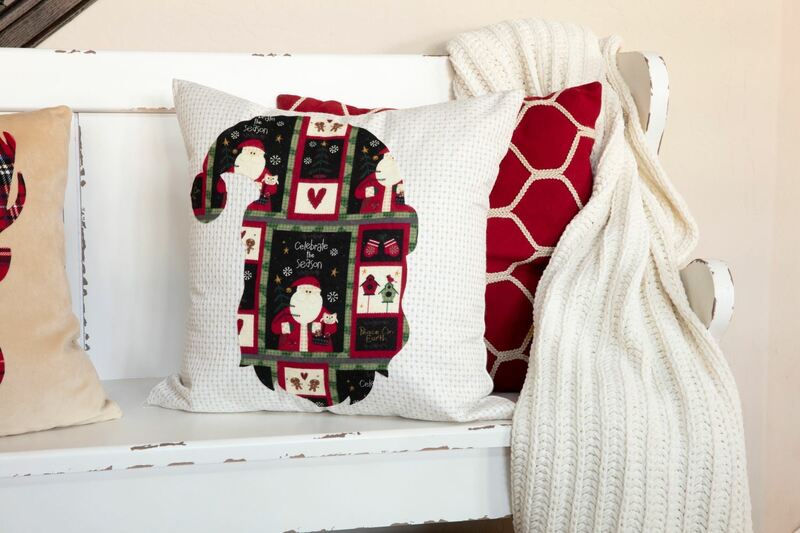 Aleene’s® Fabric Fusion makes these pillows the perfect no-sew project for beginning to skilled crafters! Insert a piece of freezer paper inside pillow cover. This will prevent adhesive from bleeding through to inside of cover. Iron a piece of freezer paper to the back of each piece of decorative fabric. Use chalk pencil to trace desired motifs onto freezer paper. Use scissors to cut out shape. (Cutting fabric with freezer paper helps to create smooth edges.) Remove freezer paper from back of fabric shapes. 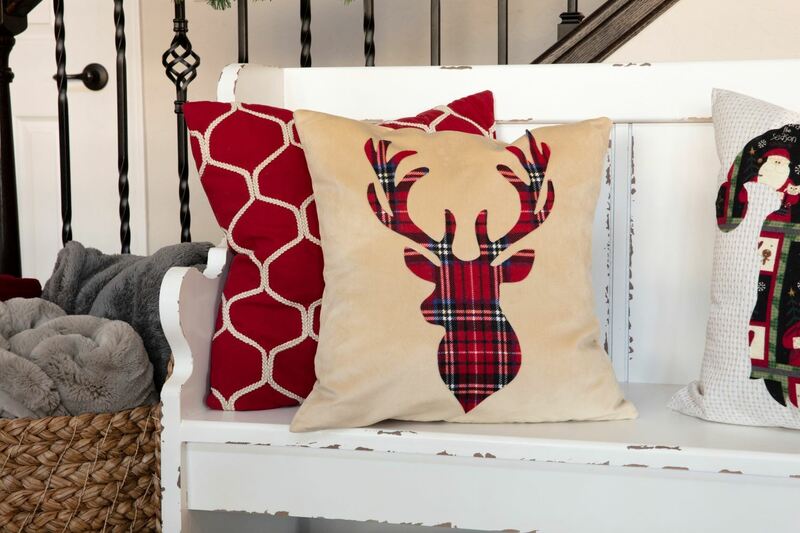 Use Fabric Fusion to adhere motifs to front of pillow cover. Press smoothly down to avoid wrinkles. Allow to dry. Remove freezer paper from back of fabric shapes.Use Fabric Fusion to adhere motifs to front of pillow cover. Press smoothly down to avoid wrinkles. Allow to dry. Insert pillow into pillow cover, display and enjoy!Insert pillow into pillow cover, display and enjoy!